Referring to Australians, Marcus Clark famously said, “They are not a nation of snobs like the English or of extravagant boasters like the Americans or of reckless profligates like the French, they are simply a nation of drunkards.” ‘Drunkards’ or not, Australia has for long been and in many ways still continues to be, one of the world’s great drinking nations, and when it comes to drinking beer, Australians certainly claims top honours. And yet should you want to order yourself some beer, you would need a handbook. Here is what the instructions might sound like: ‘When in Sydney you can ask for a midi (small beer glass) or a schooner (beer mug). Although you might be offered a pint or a half pint instead. Or a pot, if you’re in Melbourne. Which is a midi. Also known as a handle in Darwin. Or a ten in Hobart. Beer also comes in bobbies, ponies, sixes, cans, stubbies, throw downs, and grenades, long necks.’ Pretty confusing eh, mate? So this is some research I had put together awhile ago about what you can expect if you’re drinking in the land down under. Maybe it’ll help someday! Fosters may be the most well known Australian beer, but Australia has a long history of brewing some of the best beers. Australian beers are often featured at festivals around the world and ranked highly at beer tastings. While an overwhelming 95 per cent of beer produced is lager, dark beers and stouts are still made. In general, most stouts are not easily available beyond their state of origin, nor are they actively promoted even within their own region. Thus, very often they may not be well known even within Australia. Guinness: This world famous beer has a strong following in many Australian states and is increasingly available on tap. Guinness made and sold in Australia has around 6 per cent ABV, considerably stronger than that in Ireland and Britain (4.2 per cent ABV). And I thought the British Brutes were guzzlers with astounding capacity! Coopers Brewery: There is an entire range of beers that roll out from this Brewery – Irish Stout, Australian Bitter, Ginger Beer, Pale Ale, Dark Ale and many others. Coopers Regency Draught: This lager beer features a light nutty and bitter hoppy flavour. Coopers’ bottled beers are characterised by their secondary fermentation technique – some yeast remains in the bottle after bottling – thus the bottled beer contains some sediment. Coopers Best Extra Stout is a top Australian stout for beer drinkers who like their brew to have a heavy mouth feel. It is brewed naturally, using a top fermentation method. This beer contains no additives or preservatives which keep the rich, roasted malt flavour fresh. Coopers DB “Dry Beer” is crisp and refreshing with an alcoholic volume of 4.4 per cent per bottle. Southwark Premium: An award winning beer, Southwark Premium won the Champion Australian Beer trophy at the 2001 Australian International Beer Awards. The Lager is made using local barley malt and Tasmanian bitter hops. 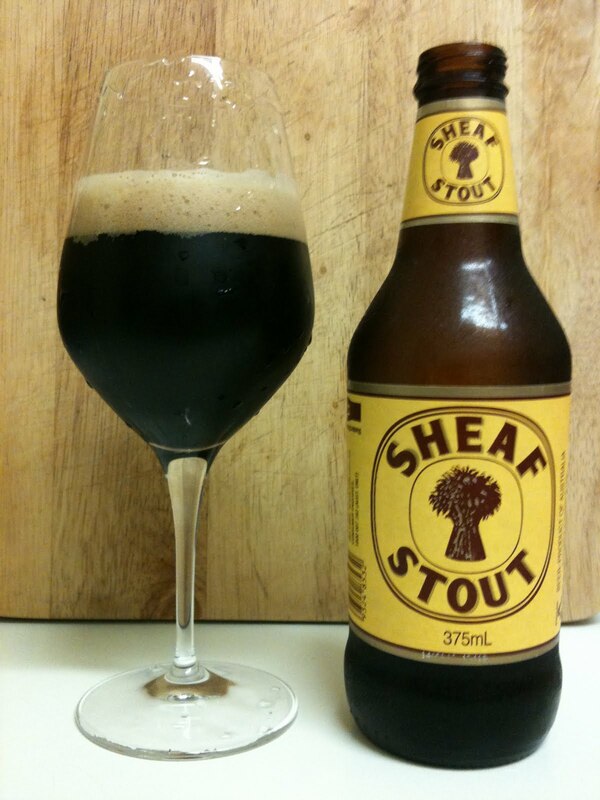 Sheaf Stout: This is a classic Australian stout brewed by the Fosters Company with rich dark colouring. The stout pours with a creamy head, which fades as you sip. The scent of the roasted malt influences the taste, but beer drinkers will taste a floral flavour as well. Bundaberg is the name of a coastal town in Queensland, Australia. The town was established in the 1860s and, due to its tropical climate and rich soil, the surrounding area soon became known for growing sugar cane. The history of Bundaberg Rum began over one hundred years ago. 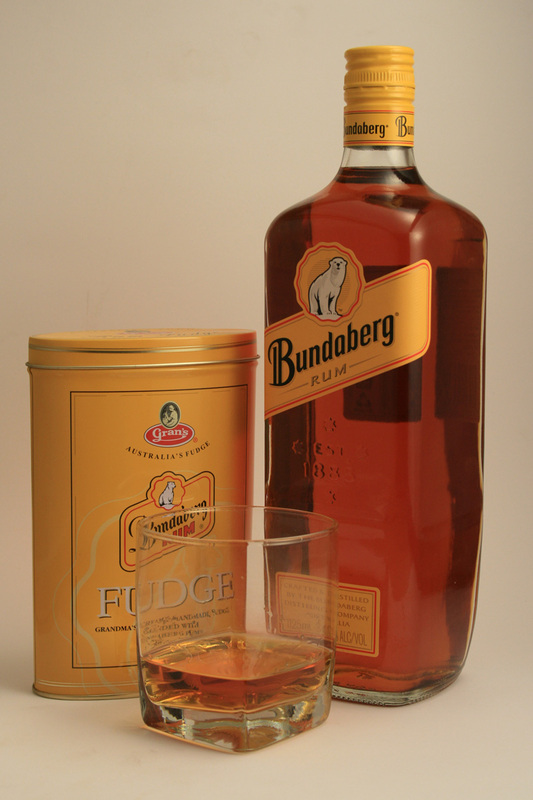 Bundaberg Rum originated because the local sugar mills had a problem with what to do with the waste molasses after the sugar was extracted. The farmers knew it could be converted into rum and little distilleries cropped up all over Queensland. In 1888, several of the small sugar producers got together to create a new public company, The Bundaberg Distilling Company. Australia is currently the fourth largest wine exporter in the world. That’s pretty huge! It exports about half of the wine it produces – over 700 million liters. In the past 30 years, Australian wines have developed a reputation for quality – especially in certain wine grape varieties and the major varieties being predominantly are Shiraz, Cabernet Sauvignon, Chardonnay, Merlot, Semillon, Pinot Noir, Riesling, and Sauvignon Blanc. About 130 different grape varieties are used by commercial winemakers in Australia and in the recent years many winemakers have begun experimenting with ‘alternative varieties’ as well. Australian wine accounts for a very large imported wine market share in South Asian countries. In India it is the second largest imported with a market share of 16 per cent. There is also a significant domestic market for Australian wines, with Australians consuming nearly 500 million litres of wine per year. Australia’s most favoured wine regions are mainly in the southern, cooler parts of the country, with vineyards located in South Australia, New South Wales, Victoria, and Western Australia. PS: I’m no wine connoisseur and hardly the expert when it comes to any wines, forget Australian, but the Yellow Tale wines (low-cost) are an almost permanent feature in my house since they we first discovered them.